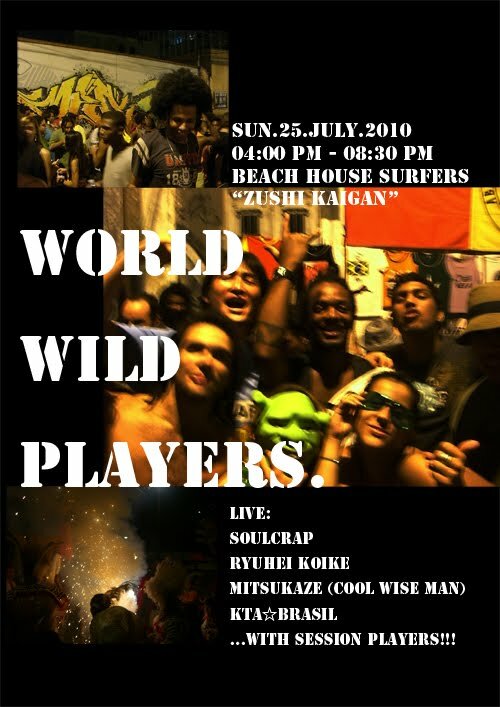 soulcrap blog: 7/25（SUN）04:00pm〜at 逗子海岸BEACH HOUSE SURFERSWORLD WILD PLAYERS. LIVE! !